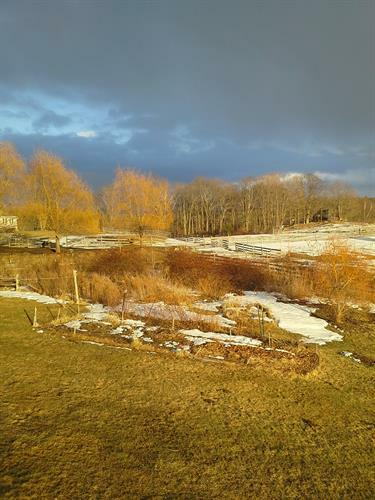 BigSkyHilltop is a light-filled B&B only 10 minutes from Amherst center, but we're surrounded by pastures of Apacas and donkeys, forests, and views of the Connecticut Valley. Sit on the deck and enjoy morning coffee, tea, or fresh squeezed juice and enjoy the pastoral scene before you. Walk, hike, bike, snow-shoe, or wander in the hills and conservation areas just beyond our front door.Your room comes with a full homemade breakfast and your hosts, Josette and Joan, offer suggestions of things to do and places to see in the area. Whether you're visiting the 5 colleges or passing through, catch your breath with us up here on our hilltop almost 1000 feet above town.